Those are good words, right? Put them together and you have better than good! Yesterday, I wandered behind my favorite pond to this wonderful place. I should take a shot of him! the whole time I was wandering through. I got as close to him as I've ever been! Don't even get me started on the sunflowers. There were so so so many! Don't worry, only gonna bore you with two photos of these beauties. No promises for the rest of the week! I love community gardens! Is this by you? i have always wanted to start a community garden with fruits and vegtables primarily. everyone helps maintain it and everyone can enjoy the fruits!! we have a few spots in our town, wasted, unkept space, that would be perfect. a great way for kids to learn gardening and then also eat healthy!!! Love the guy's character. Gorgeous flowers - and, oh.my.g... those sunflowers. Yes, please - I could stand to see more. Looks like paradise. Blue herons are beautiful creatures. We have several that live in our neighborhood and I love watching them. I love the idea of people working together to keep something beautiful. I bet it is so satisfying. Hope you take up a plot next year! Would make a great photography project! These pictures both beautiful and inviting. Sunflowers are my favourite! What a neat place! I love the sunflower shot! It truly does shine with magic! Wonderful photography. Oh, the magic shines through your photography! Just wonderful! What a lovely garden, so full of color and variety! Love the sunflowers! Wonderful photos! I love the sunflowers. 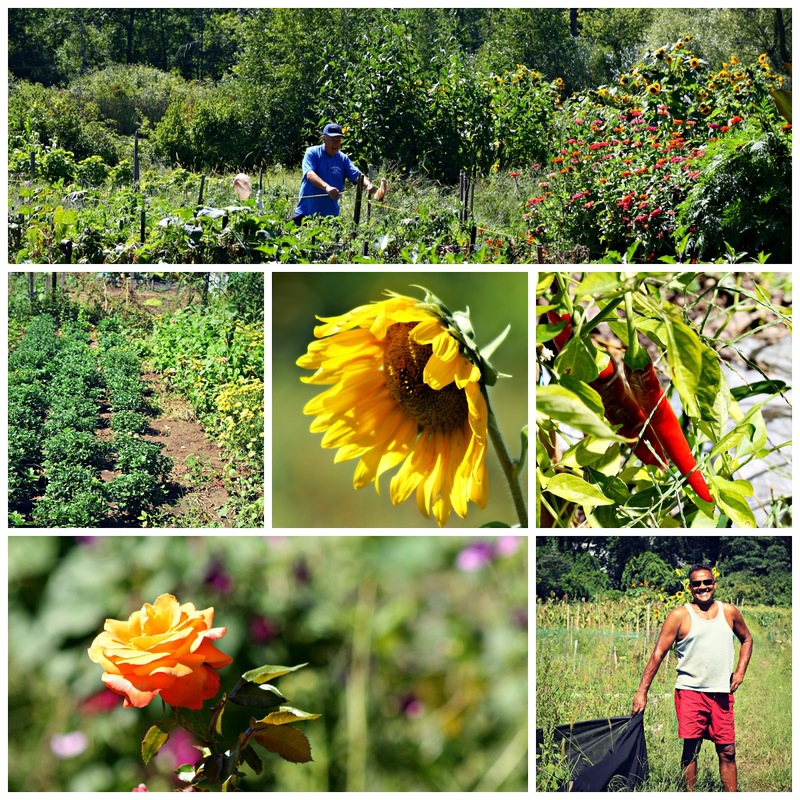 Great series of all the good things that happen in community gardens. I love the idea of a community garden. Some lovely flowers, and you know I'm fond of those Great Blue Herons!